Kid was so shy to talk to me! YoYo Joe brings modern yo-yo tricks to a whole new level. 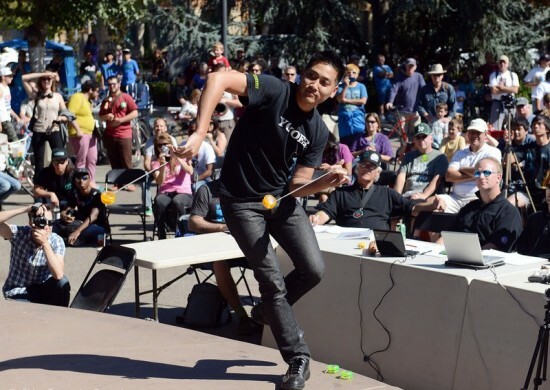 As a former member of the World Championship Team High Performance and previously sponsored by Team YoYoJam, he has toured the world demonstrating yo-yo’s. 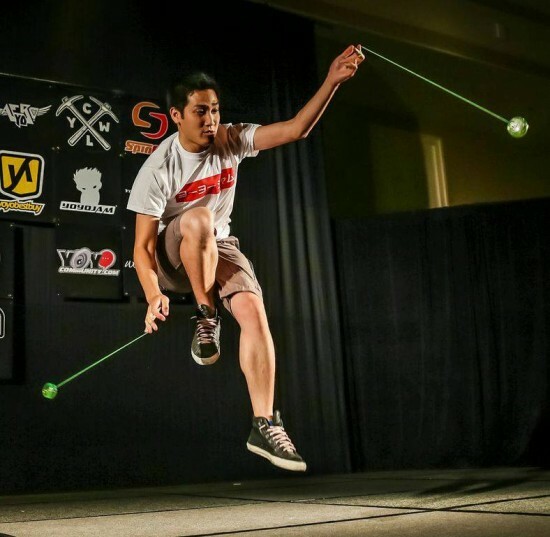 Some of the highlights of his yo-yo career include being the 5-time U.S. National YoYo Champion (2008, 2011, 2013, 2014, 2016), appearing on America’s Got Talent and Fox Kids. Amazing Yoyo Show and Lesson! Joe enthralled a large group of 10 year old boys and their parents for more than 30 minutes with his amazing yoyo show! My son said it was "the best party EVER" and was so excited to learn so much from Joe's yoyo lesson. Joe was professional, on time, responsive and kind. Incredible performance. The crowd was in awe. Joe is a real professional. YoYo Joe was extremely easy to work with! He tailored the parameters of his show and yoyo lessons to our time needs, demographic and budget. The show ran for about half an hour, followed by an hour of up-close-and-personal yoyo lessons for all the kids. Everyone had a blast, and YoYo Joe was a smashing success! We highly recommend using him for your next party! Yoyo Joe came to perform for a crowd of about 50 kids AND adults, for our holiday party, he kept them all entertained and interested from the very beginning until the incredible end.. he even showed the kids awesome tricks after with so much patience and with a smile. Thank you Joe! Yoyo Joe was a blast! We had about 20 kids (ages 6-12). He gave an amazing performance and worked with each kid individually on a few yoyo tricks after the show. Very friendly and professional. I would definitely recommend him for your event. I hired YoYo Joe for a father-daughter activity involving 12 dads and their daughters age 8-10 years old. He performed and showed us some cool tricks and then he worked with the group to teach them how to do some basic and advanced tricks. He was an excellent (and patient) teacher and his performance was absolutely amazing! Everyone had an amazing time and spoke about it for days. Thanks Joe! Amazing performance by an amazing guy. We hired Joe for an afternoon corporate pool party and he exceeded my expectations in entertaining the team. Everyone was mesmerized by his performance. Afterwards, Joe patiently taught us all a few tricks. People are still walking around the office with yo-yos and talking about Joe. He was on time, professional, and a fabulous entertainer. I recommend you consider him for your event!! Way Better Than 5 Stars!!!!! YoYo Joe came out for my son's 11th birthday party. Everyone (toddlers to adults) absolutely enjoyed his performance! Joe even took the time to adjust the all the kids' yoyos, and work with them on how to use it. He was prompt, professional, and patient. And most of all, AWESOME with kids!!! I highly recommend YoYo Joe, and I would hire him again. He was a BIG HIT with everyone! His performance really got all the kids excited about yoyos that they forgot about their phones/electronics!!!! I would give more than 5 stars if I could. If you hire YoYo Joe for your next party, he will not disappoint!!! Great with kids, entertaining, fantastic- ages 4-13 were mesmerized! Who knew you could do so much with YoYo's! We had YoYo Joe come to our summer camp as part of our carnival activities. Our kids range in age from 4-11 years old and EVERYONE including our teachers were entertained from start to finish! The performance itself was about 30 minutes and we didn't want it to stop. When YoYo Joe was done he provided yoyo's for 80 kids and took the time to help every single one of them. He energetically was showing the kids some of the basic tricks as well as some more advanced ones. I would definitely recommend him for any type of event with kids! We enjoyed Jo this summer at our facilities summer camp program. the children were non-stop enjoying him the whole time! He is very talented and engaging with the kids! He also split the group into two and gave yoyo lessons with yoyos he gave out for a gift to take home. We loved him and would invite him back next summer for sure! Yo Yo Joe was the perfect entertainment for our son's 7th birthday party! He was incredibly kind and gentle with the boys. And his amazing Yo Yo tricks and show mesmerized adults and kids alike! We are so happy that we found Yo Yo Joe and hope to have him perform for us again. Yo Yo Joe is a great interactive performer with his yo yo tricks. He engages the children. In his finale, he asked for a young volunteer to come up to the stage, place a quarter on the child's ear, asked all the children to come up close to the stage, be very quiet and he spins the yo yo to knock the quarter off the ear without hitting the child. Wow, what a feat! Our congregation was looking for someone who could entertain a group that age wise ranged from preschool to octogenarian. Joe's show was perfect he had everybody enthralled. YoYoJoe kicked off our school fundraiser with an inspiring and fun assembly for our K-8th grade school. He engaged the children's enthusiasm, managed the crowd with finesse, and extremely impressed the everyone with his skill. He explained, demonstrated, and showed how much practice it took to get to his level of expertise. I know that many of the kids wanted a yo-yo after the show. Staff and parents are still asking me how we were lucky enough to have him perform. Joseph was prompt and kind and the kids enjoyed the performance and the lesson. Nice to meet YoYoJoe in Dragon Boat Festival (looooong time ago tho). I really like your performance. Yoyo Joe puts on an amazing show. Months later, we still have people tell us about how much fun they had at the party. He's wonderful with children, engaging all of them and teaching them how to yoyo. We're planning on hiring him for a future party as well. We booked YoYo Joe for our Member Appreciation Day and he was amazing! Joe was the best entertainment and the crowd loved him! I will book him again for sure! We had Yo-Yo Joe come to our summer camp and perform for the children. They loved him an even the teachers thought the show was amazing. He is great with children and we would love to book him again. 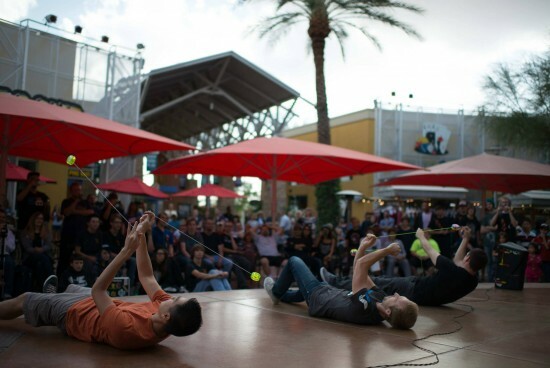 Joseph Harris, also known by his stage name "YoYo Joe", performs a complete yoyo show. He does a freestyle performance choreographed to music with tricks you have never seen before! He will preface his show by saying everything you know about yoyos, throw out of your head. If yoyos are needed for your event, arrangements can be made.